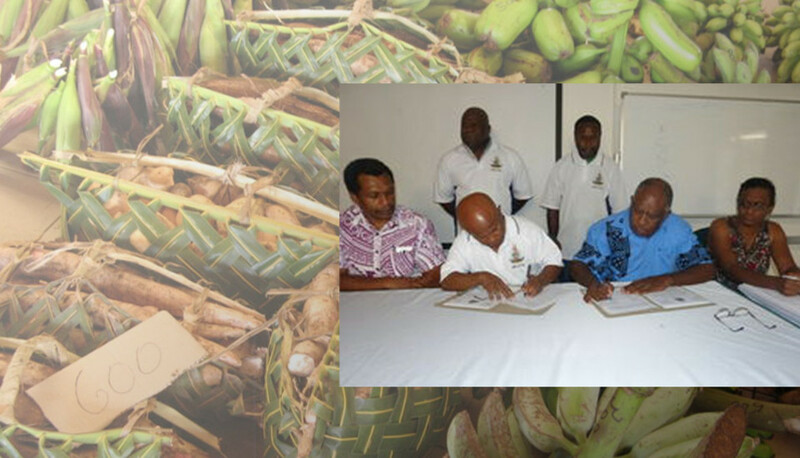 Agri-tourism is a joint initiative of the Ministry of Tourism, Trade Commerce, Cooperatives and Industry and Ministry of Agriculture, Livestock, Forestry Fisheries and Biosecurity. The objective of the partnership is to address inter-ministerial development issues covering both Ministries at policy level. “This committee will not strictly cover agriculture and tourism but also livestock, forestry, fisheries and biosecurity, industry, tourism, trade, and all export products. “This partnership is to address all issues covering the two ministries at policy level,” Director of Tourism Development, George Borugu says. Traditionally these are the two Ministries that are directly involved in the facilitation of the increase in the production of primary industries including coffee, cocoa, copra, spices, beef, pork and fish, to develop the export market for those products. The Director says unlike in the past where they were administered on an adhoc basis, now the vision is set to form the agri-tourism steering committee to oversee the entire process. He says the other important objective is to increase production in all areas to promote inter island trade and rural to urban market. “With the current double impact of Cyclone Pam and El-Nino, Efate and Port Vila cannot sustain its population so Santo for example, is supplying agricultural produce now on sale at Port Vila Market to help the population of Port Vila,” he explains. Meanwhile foods and meats that are served from the menu in restaurants, nine out of ten, are imported. This is what the committee wants to see changed to allow visitors to buy delicious meals in restaurants and takeaway shops cooked using local meats and local produce. The giant cruise liners that visit Port Vila and Luganville want to order fresh supplies for their kitchens locally but the Voyager of the Seas says, they have to order all theirs from Australia and Canada because the Vanuatu market is not available. The Director says, “When a cruise ship arrives with over 3,000 passengers, their ship will want to order large quantities of fresh supplies of quality on a regular basis and this is where we do not have a system in place for them to use”. The Director says these are some of the important areas that the new committee is mandated to address. But he says the committee has a duty to also address the importance of quality products that are destined for the tourism market. “We need to increase our exports because the more we export, the more we bring in foreign exchange then the better the chance for us to employ our young school leavers,” he says. Also, he says visitors that come in do not have the slightest idea how a bullock or pig is fed, and will be delighted to see firsthand how animals live because most visitors are born in cities so far away from farms and buy all their meats from the supermarket. He adds, “We want to turn our farms into new products for our visitors to pay to see how animals live, what a kava plant looks like and how it is prepared as a beverage”.